"Will please romance fans and showcase the seeds of her later, hugely popular romantic thrillers." Cindy McCall wanted only one thing—to be loved for herself rather than for Big Eddy McCall’s fortune. Trace Rawlings never knew his father or his mother, but he had made a home for himself in the beautiful, treacherous cloud forests of Ecuador. When Trace accepts a job guiding Cindy McCall safely through the wild forests, he believes he is being paid only for his local knowledge. Cindy believes she has hired Trace for his skill. 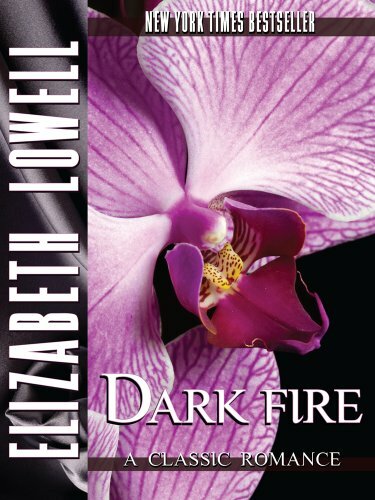 When Big Eddy’s deception is revealed, Trace and Cindy have to fight to hold on to what they found deep in the cloud forest—the dark fire of love. Originally published 1988 in Silhouette Desire #462 and reissued August 1998 by MIRA Books.